Dance is not a competition, it’s a passion. 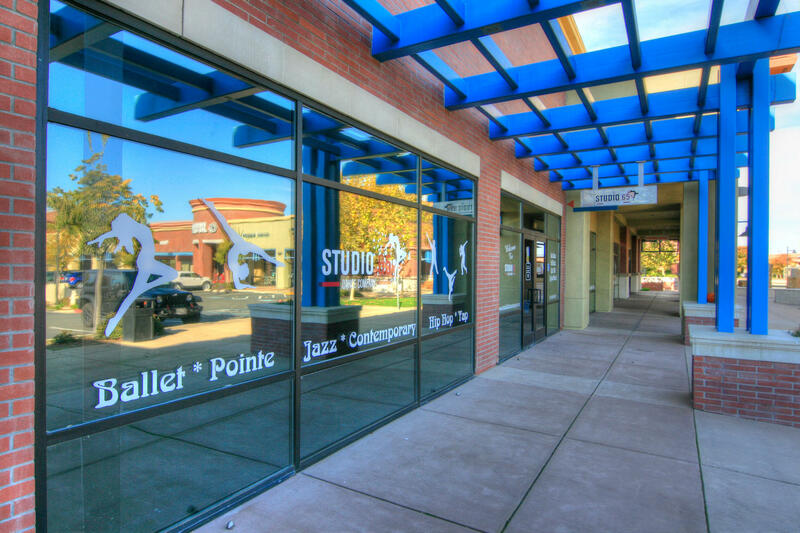 Studio 65 Dance Company, Inc. Rocklin’s #1 Innovative Dance Studio! Where it’s all about the Experience & Customers Come 1st. 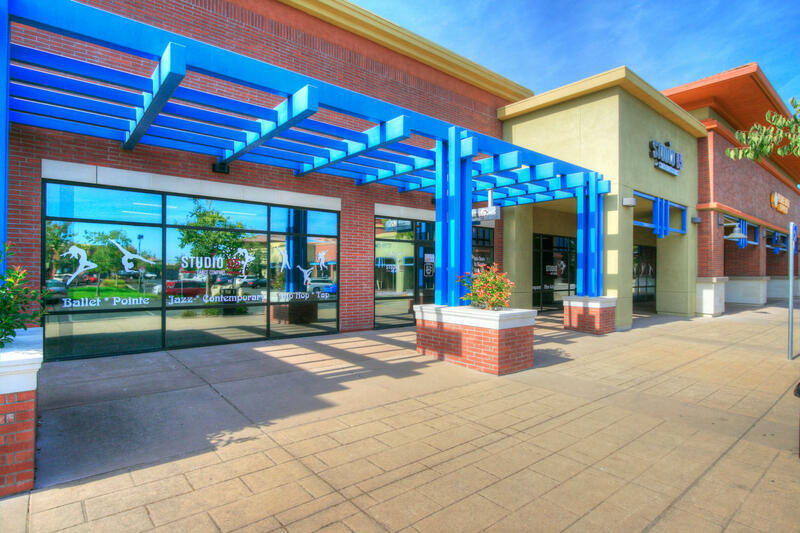 Located off Blue Oaks Blvd & Lonetree in the Rocklin 65 Shopping Center. Our Studio offers 3-large “State of the Art” Dance Rooms with top of the line wood sprung floors, a top of the line Sound System, Student Lounge for the students to relax and take a break or catch up on homework between classes, Teachers’ Lounge with full size kitchen and eating area, a comfortable large lobby for Parents to relax and view their Dancers on our 70 inch closed circuit monitors. We pride ourselves on providing a friendly family atmosphere, top of the line customer service. Our talented Staff is experienced in all areas of Dance Genre’s and teaches to a core program in their specific trained Genre. We thrive on excellence, achieve solidarity and most importantly develop and shape our future dancers, while still having fun. Your opinion matters! We an open door policy for feedback and suggestions from our parents and students! We invite you to join us and be part of our growing family! Try a Free Trial class on us! Call 916-899-6577 to reserve your spot! We built a State of the Art Studio for our dancers. 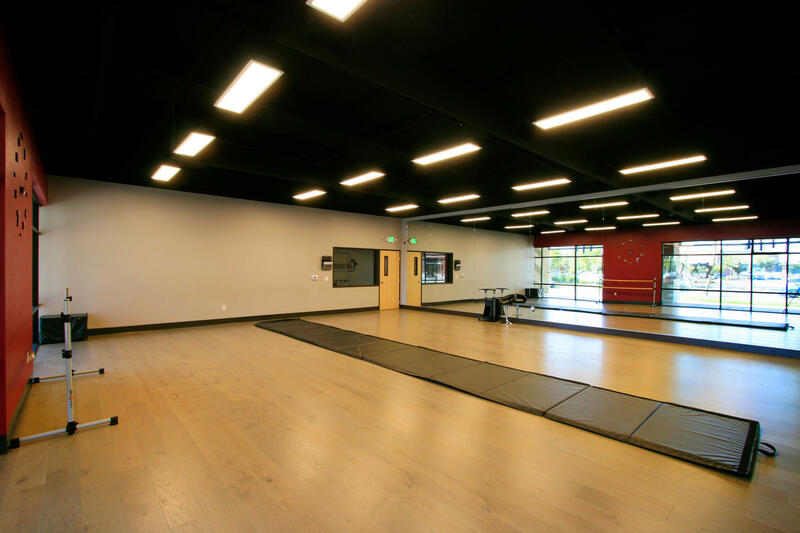 When designing our Dance Studio, we wanted to provide our students with the best possible environment to develop and further expand their talents. 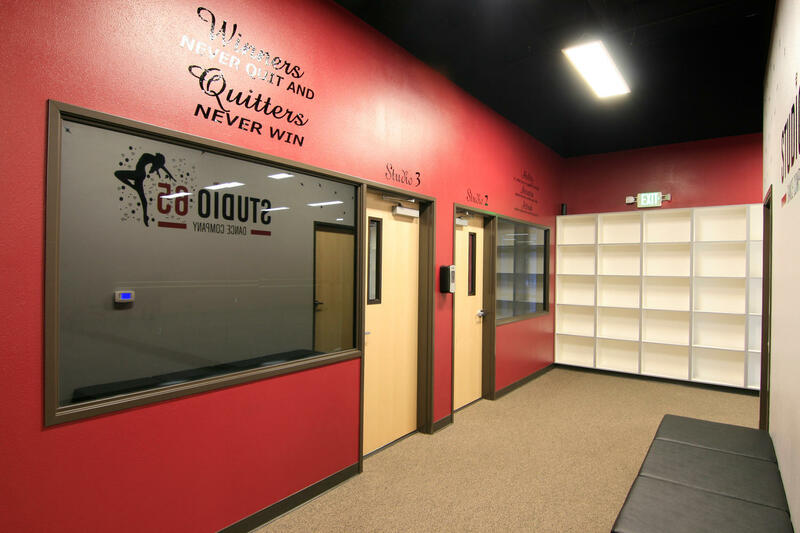 In order to achieve our goal, we settled for nothing but the best, from premium wood flooring to built-in surround sound systems in each room to reduce floor clutter. 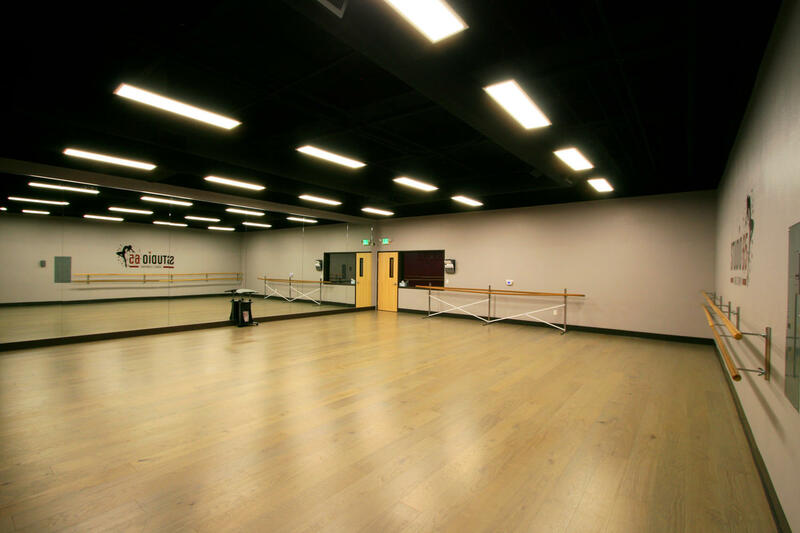 Each room is big and spacious enough to hold 30 dancers while still giving each dancer enough room to move. 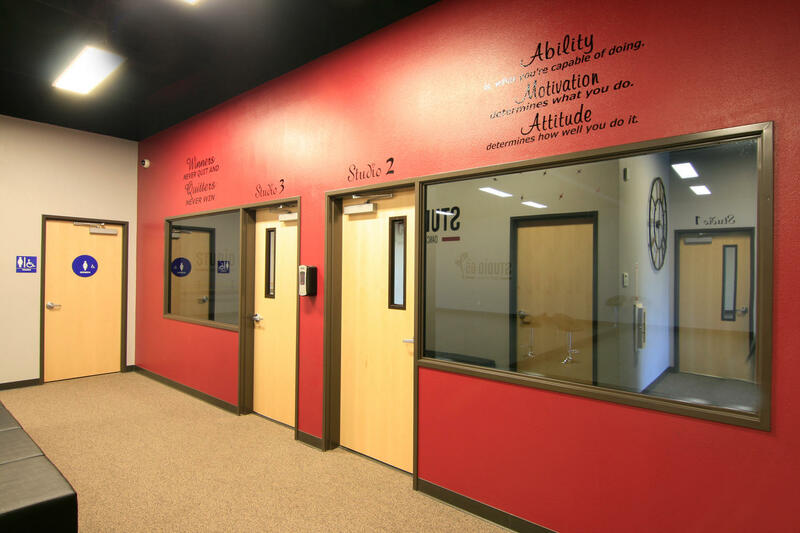 We installed one-way mirrors so our parents, friends and guardians can watch their dancer without interrupting the class, as well as a 70 inch monitor in the lobby where parents can sit back and relax while watching their children perform. 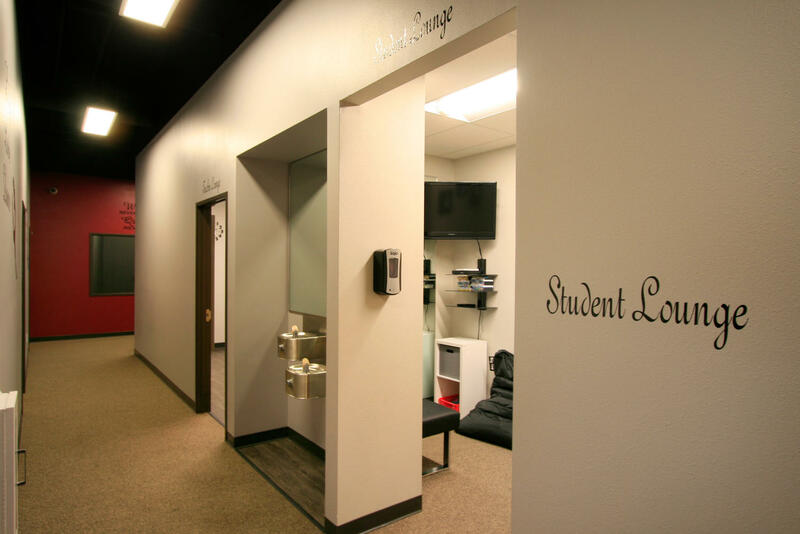 We added a personal lounge for our students to relax, do homework and decompress before and after their classes, we believe our students should feel safe, welcomed and more importantly at home in our studio. It’s our belief that if a studio is demanding nothing but the best from its students, then it should provide them with nothing but the best from our Staff, and that’s what we did. 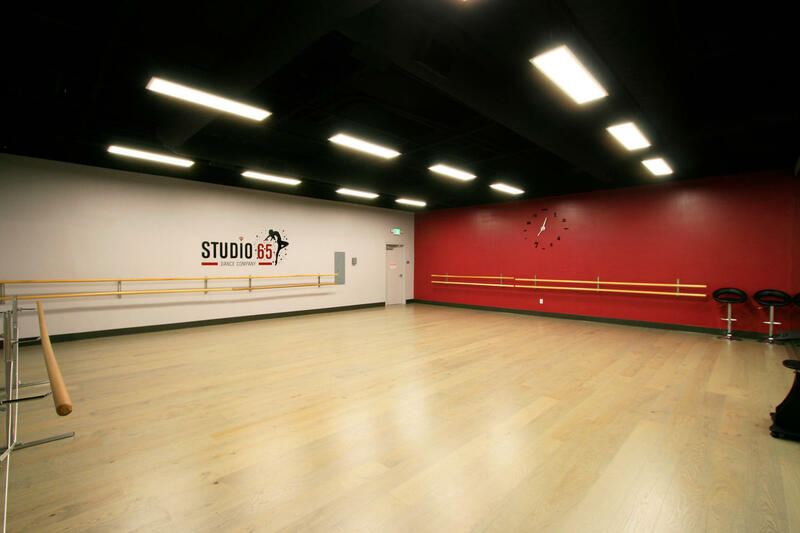 Take an online tour of Studio 65 Dance Company. Providing not only the best, but the most affordable experience around. Save when you take more classes! Save when you family dances with us! We want to give you the best deal possible. 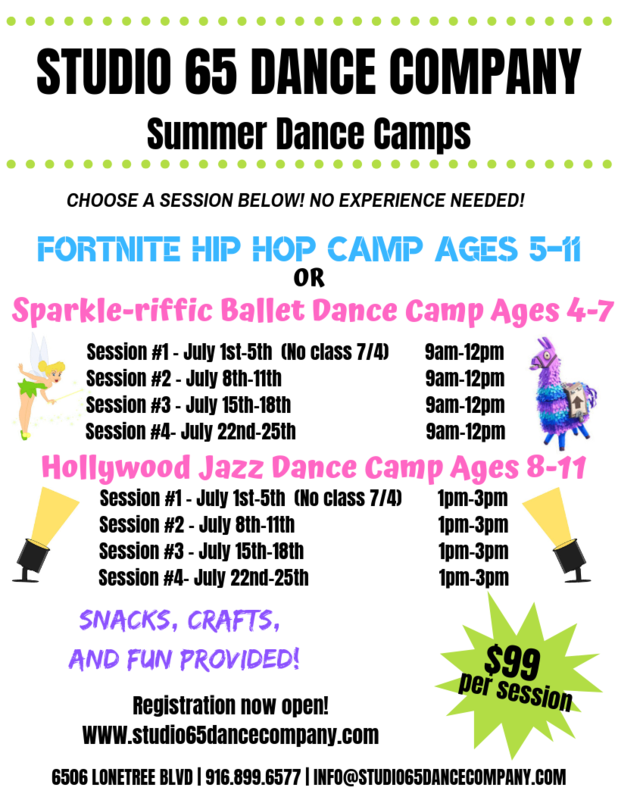 Classes available for Ages 2 though Adult. We offer Beginner, Intermediate , Advanced, Competitive Prep and Competition level classes and training. 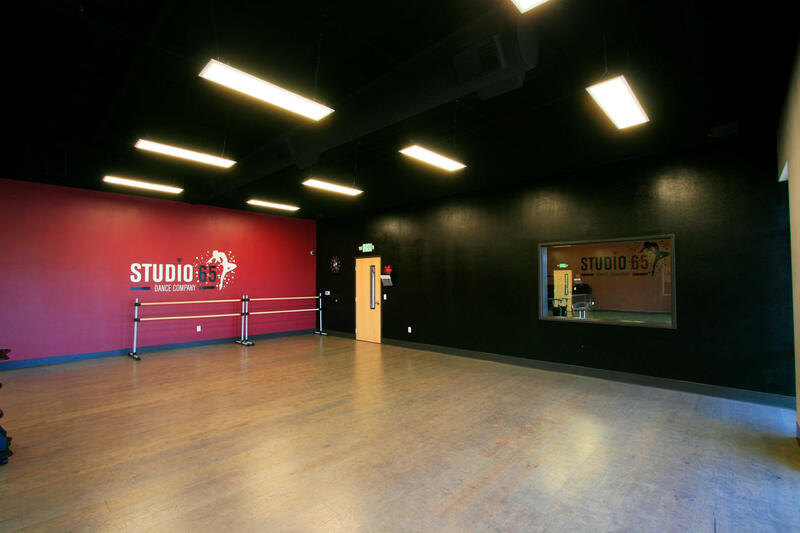 At Studio 65 Dance Company we are Rocklin’s #1 Innovative Dance Studio offering our our students a “State of the Art Dance experience at affordable rates. We offer Family, Multiple classes, Military Discounts as well as a qualified Scholarship program. We accept all competitor coupons within a 20 Mile radius of Studio 65 Dance Company, Inc. These coupons can be used by new students when registering for classes. Please contact us if you have any questions. *All coupons must be printed and brought in, must be valid and for the exact same service. Only one coupon per student. May not be combined with any offer or coupon. Studio 65 Dance Company reserves the right to refuse any competitor coupon and/or offer a different deal at the discretion of Studio 65 Dance Company, Inc. Offer Valid for one Competitor Coupon per season.